Back in the 2018 model year, there was a sense big things were coming for new Ford SUVs. 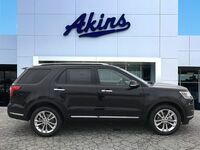 That’s because the 2018 model year brought us debuting and all-new Ford SUVs that completely and utterly blew us away here at Akins Ford near Athens, GA. Ford then followed that up with even more all-new SUVs during the 2019 model year – a group that also included the first-ever Ford SUV engineered and built by the Ford Performance Team. 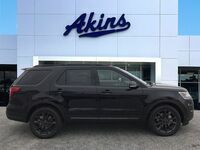 And now, as we look to the 2020 model year, we see there are even more all-new Ford SUVs to be excited about, including the all-new 2020 Ford Explorer lineup. 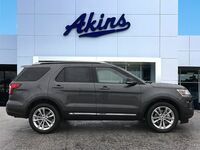 Now, the Ford Explorer has been at the top of its class for so long that you may think there’s nothing else it can do to get better – but you’d be wrong, and the 2020 Explorer lineup and its two all-new trim levels are all the evidence needed to prove that point. 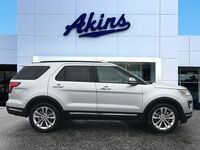 That’s because the two all-new 2020 Explorer trim levels include an all-new first-of-its-kind 2020 Explorer Hybrid and an all-new 2020 Explorer ST, which is the second Ford SUV engineered and built by the Ford Performance Team. 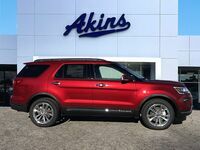 Add those all-new trim levels to an impressive redesign and a full slate of best-in-class features and capabilities, and you’ve got a new Ford Explorer lineup set to pull even further away from its competition. We’ve teased you with the knowledge that the all-new 2020 Ford Explorer lineup will feature an all-new hybrid model and an all-new performance-oriented ST model, so let’s now see what’s under the hood of those two all-new trim levels and the rest of the 2020 Explorer lineup. We realize people are probably most excited about the 2020 Explorer ST, but it’s the 2020 Explorer Hybrid that has us the most impressive. 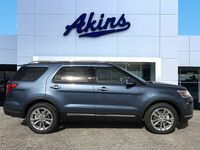 That’s because the 2020 Explorer Hybrid will feature a driving range of over 500 miles thanks to its hybrid 3.3-liter powertrain. 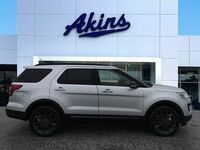 That’s not to say the 2020 Explorer ST isn’t equally impressive, however, as it will give up 400 horsepower to play with thanks to its 3.0-liter EcoBoost engine. 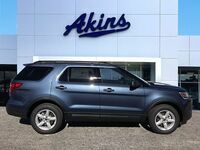 The rest of the 2020 Explorer lineup will feature either a 2.3-liter inline-four-cylinder turbocharged engine or a twin-turbocharged V6 engine. We don’t know specific interior space specifications for the 2020 Explorer lineup yet, but we do know it will feature best-in-class interior passenger space and more cargo room than pretty much every other SUV in its class. 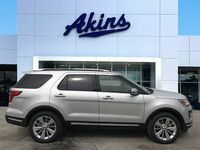 If you’d like to receive more information on the 2020 Ford Explorer lineup, please reach out to our staff here at Akins Ford near Athens, GA.